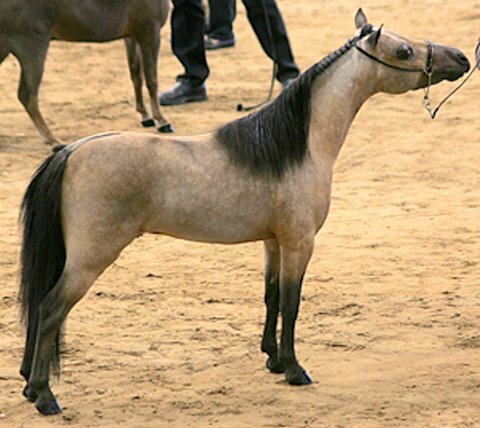 AMHA and AMHR National Show Results including Miniature horses for sale in Texas: AMHA miniature horses, AMHR miniature horse, mini horse sales information from HCM; breeder of AMHA and AMHR National Champion halter and performance minis. 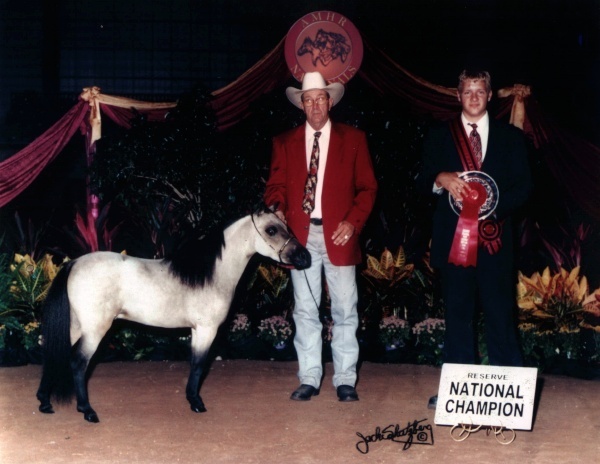 We would like to share some of our many miniature horse National Champions with you. They are winning National titles and International titles in halter and performance. 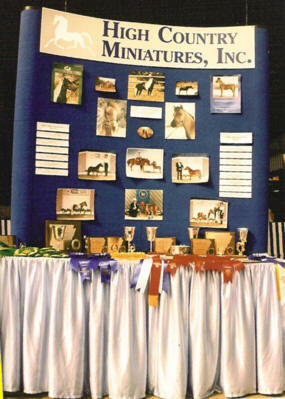 FACT: Many of the miniature horses pictured below and listed as Champions were once on this Website being offered for sale. FACT: For 22 years our miniature horse breeding program has consistently produced quality which is passed on to future generations. 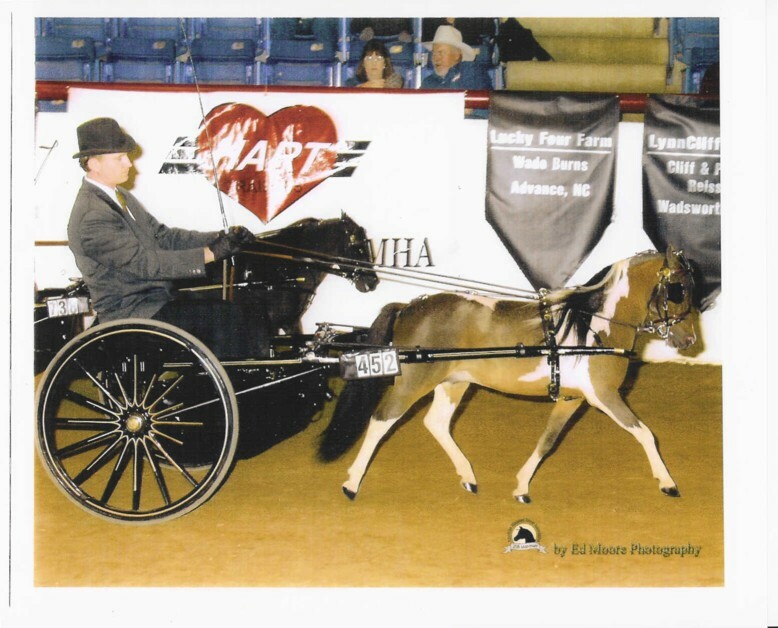 FACT: OVER 75 INDIVIDUALS WINNING MINIATURE HORSE NATIONAL CHAMPIONS! 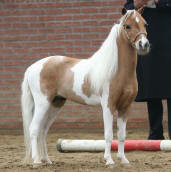 "Last Saturday Mystic became the reserve champion title!!! Mystic got the first premium in 2007 and 2008. 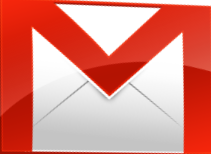 Besides that he became the reserve champion title out of about 140 breeding stallions of 3 years and older." 1A premium and the reserve champion title. 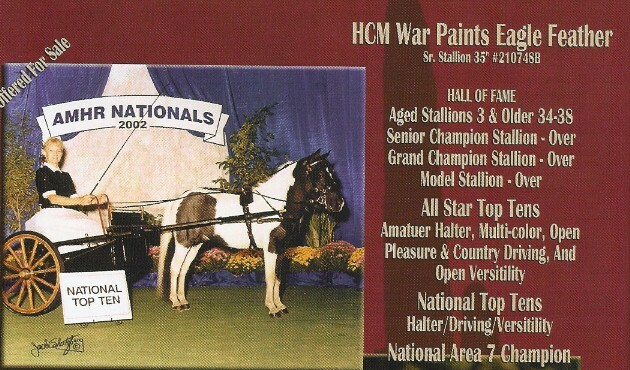 Congratulations ALL STAR 2007 - "HCM War Paint's Aly Sheba"
"HCM Thunderstruck" Owners: Jean and Roy Jacobson - WA - Thank you for being such wonderful owners! This Superstar will be bred to a few select mares; call Jean at "Mor Fun Miniatures" (253)851-3662. 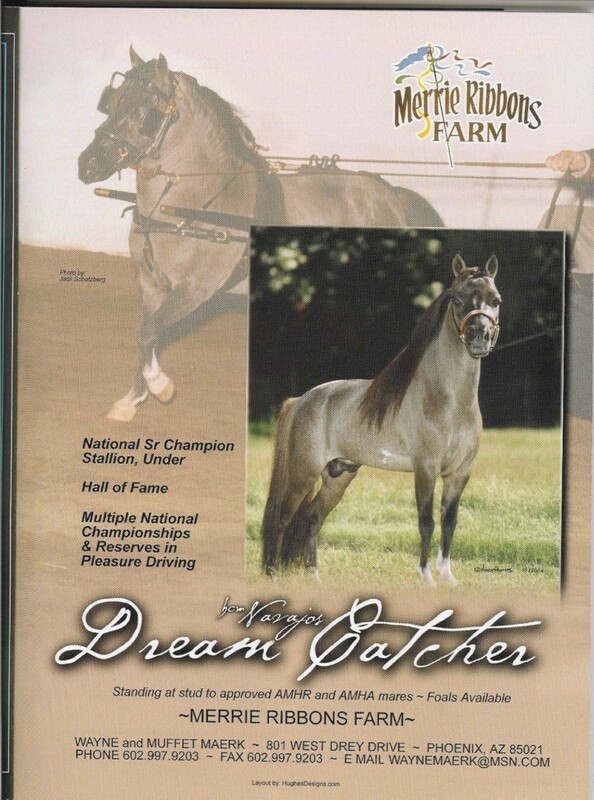 2003 AMHA NATIONAL TOP TEN SENIOR STALLIONS, OVER 32" TO 34"
2003 AMHA NATIONAL TOP TEN COUNTRY PLEASURE DRIV. OVER 32"-34"
Trained, shown and presented beautifully by Jim Evers, we miss you Jim. 2003 AMHR Reserve Grand Open Pleasure Driving Stallion 32 - 34"
2003 AMHR Reserve National Champion Pleasure Stakes Driving 32 - 34"
2003 AMHR Top Ten Aged Stallion 3 & older, 30 - 32"
AMHR National Senior Champion Stallion, under HCM Navajo's Dream Catcher, an X-Caliber's Little Navajo son. 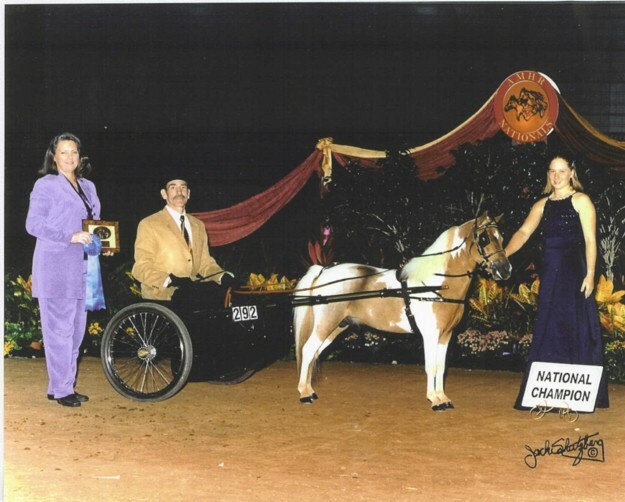 Congratulations and thank you to Wayne and Muffet Maerk of Merrie Ribbons Farm on their many wins at the 2002 and 2005 AMHR Nationals. 2003 AMHA NATIONAL TOP TEN SINGLE PLEASURE DRIVING OVER 32-34"
AMHA National Reserve Grand Champion Senior Stallion - Little Kings LF Buckeroo Zorro is out of a fabulous Landry's War Paint daughter by Boones Little Buckeroo. Check out the family resemblance and motion. 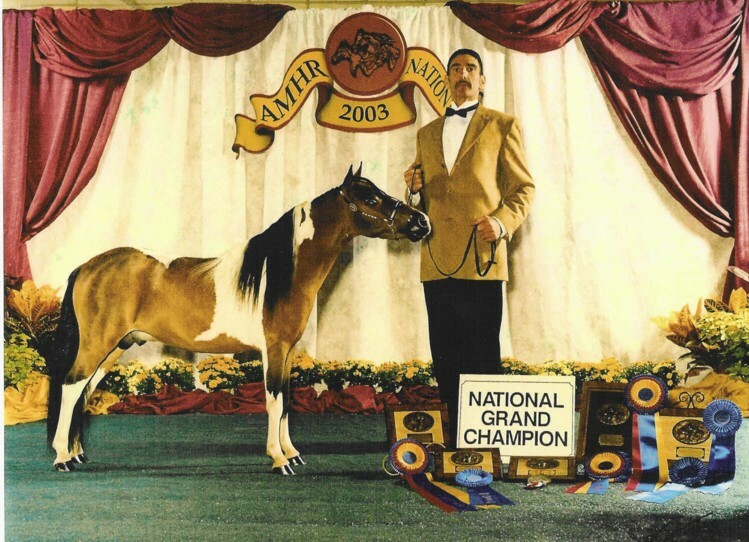 Regional Reserve Champion Weanling mare 28-30", 2002 National Top Ten Weanling Filly. 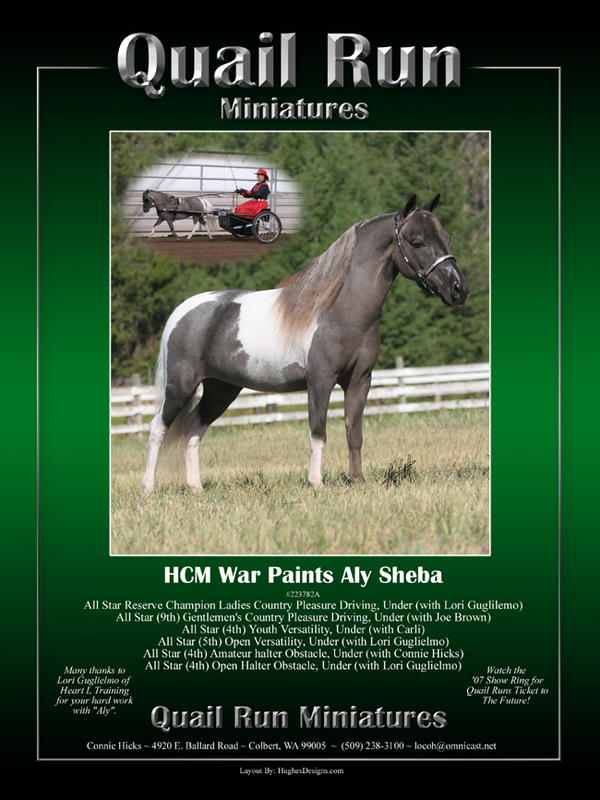 HCM Peppers Shaman -AMHA National Top Ten Senior Stallion 32 - 34"
HCM War Paints Summertime - AMHA National Top Ten Weanling Mare 28 - 30"
HCM War Paints Wildfyre - AMHA National Top Ten Two Year Old Stallion Futurity winner, National Champion Yearling Stallion 30" - 32"
X-Calibers Rocky - National Grand Champion Junior Halter Gelding, Yearling Gelding Champion, AMHA National Top Ten Senior Gelding 32 - 34"
Hartins Flashy TOY4U - AMHA National Reserve Champion Weanling Mare 28 - 30"
HCM Navajos Lonesome Dove - AMHA National Champion Yearling Mare 28 - 32", National Top Ten Two Year Old Mare, Reserve National Champion Senior Mare 30-32"
Paintbrush Night Chant - (An X-Calibers Little Navajo Son) AMHA National Top Ten Senior Stallion 28 - 30"
Landrys War Paint - AMHA National Top Ten Senior Stallion 32" -34"
HCM Navajos Silver Spirit - National Top Ten Senior Stallion 32 - 34"
Little Kings Almighty Buck - Yearling Futurity winner, National Top Ten Yearling Stallion 28" - 32"
Alamo War Paints Midnight Mystic - ( a Landrys War Paint daughter) National Top Ten Yearling Mare 28 - 32"
he won both his colt classes in Queensland before going to our Nationals in Dubbo, where he was Reserve National Champion (to the colt he'd beaten twice (in Queensland!) and fifth in the Golden West Futurity from a field of 35. There were 3 judges, 1 placed him first, another placed him second & the third didn't. As he was apparently suffering from stress colic during the event I think it was an amazing effort. Then he came home & won Australian Miniature Horse Assn State Champion Yearling. He also won his 2 y.o. colt class at The Royal Queensland Show. Classic Reign took 3 firsts - every class he went in - beat all the senior minis and won Champion miniature exhibit the went on to compete for supreme of show. A senior stallion beat him to the prize but the judge pulled me aside and said that it was extremely close but the senior stallions experience showed.